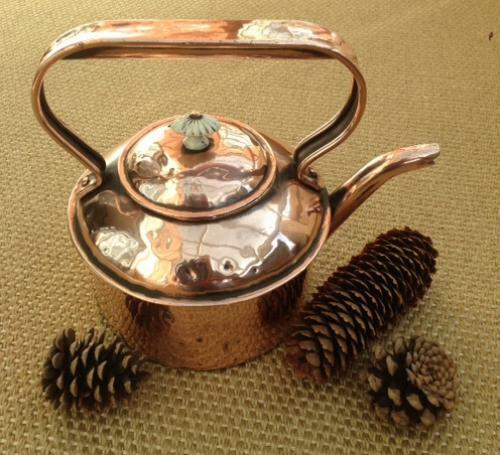 Victorian heavy quality copper Hob Kettle circa 1870. Unusual to have ceramic knob. This kettle would have originally slotted into the top of a cast iron range as it has a slight pronounced rim to stop it falling through. This way it would have boiled quickly. overall condition good and undented.